King James version of the Bible is known to have indicators on the words that are translator's note. Those are not really present in the original languages of the Bible (which is Hebrew, (Aramaic,) and Greek). Gen 1:9-11 And God said, Let the waters under the heaven be gathered together unto one place, and let the dry land appear: and it was so. And God called the dry land Earth; and the gathering together of the waters called he Seas: and God saw that it was good. 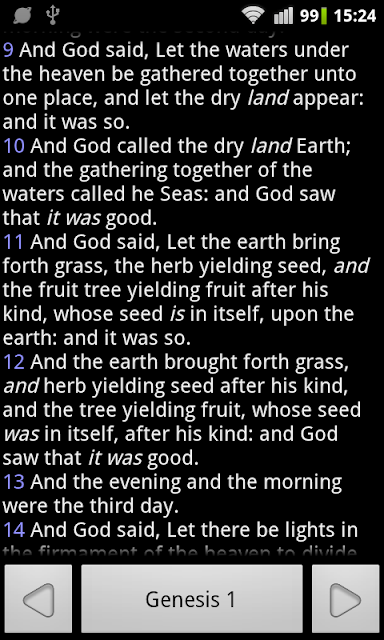 And God said, Let the earth bring forth grass, the herb yielding seed, and the fruit tree yielding fruit after his kind, whose seed is in itself, upon the earth: and it was so. With those italicized words, the sentences become correct English, and at the same time, it aids us in studying the Bible, because we know which words are not actually God's Word literally, but to a certain extent, an explanation or interpretation of the translators. 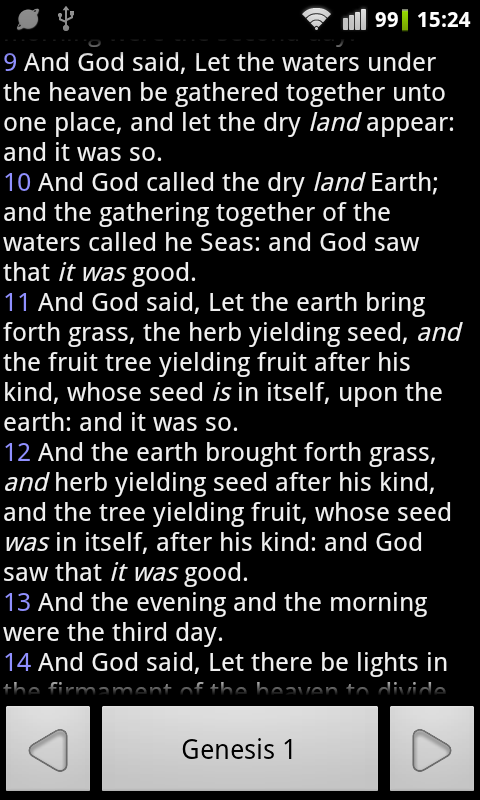 Starting from version 2.1.0, Bible for Android uses KJV that includes italic formatting for those words, along with red-lettering for Jesus' (when He was a man) words. 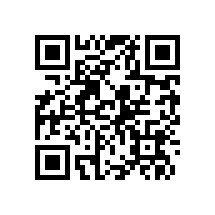 If you are using Alkitab (Indonesian version), delete the kjv.yes file from sdcard/bible/yes and use the app to download the new version of the kjv data. Alkitab 2.0.6 has just been released. On tablets, search terms are now visible. Before this, the text color is not defined, so on Android < 3.0 it will show as black, on >= 3.0 as white. But the background is white, so it's not visible on Android >= 3.0 before. The home button is now functional, it takes you back to the Bible text. Recent verses list is now limited to 20 entries, before it was 10 entries.